We are overjoyed to make the announcement we have all been waiting for! 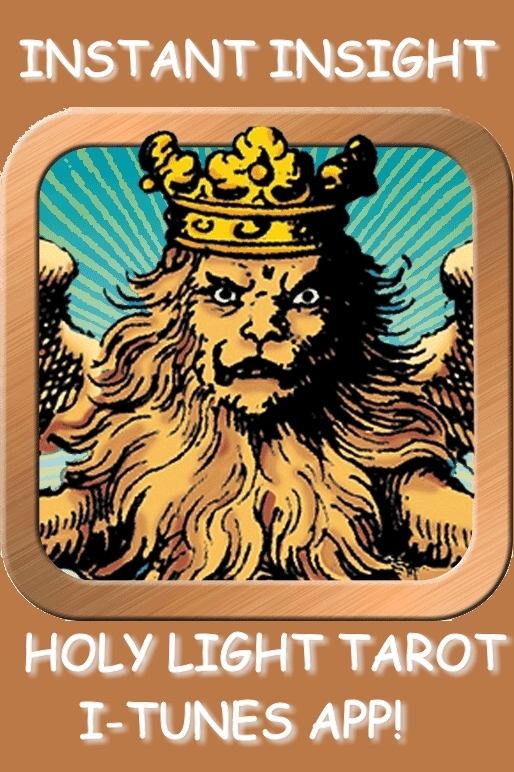 The iPad/iPod/iPhone app for the Tarot of the Holy Light has launched! The production by The Fool's Dog is super high-quality, and all the feedback I've received from friends and clients has been extremely positive. Users love the way the light shines through the images onscreen, how luscious and scrumptious the cards look in this medium. People are also raving about the feature where one can enlarge the images and look deeply into them, even down to the very fine print and background details. This is indeed a thrill compared to the non-expanding imagery on the printed cards! 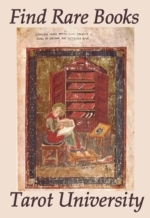 I've also heard very complimentary remarks about the individual card essays, which is very gratifying as well. We included slightly less than half the full content of the book that is still in production, so we were as generous as we felt we could be without entirely giving away the store. Complimentary remarks arrive in abundance about the very thoughtful interface, which makes it easy to interact with the cards in multiple ways and record it all in your journal at the end. All in all, it's a great service at an even better price! But what I want to call people's particular attention to are the two essays I wrote for the Spreads collection. I use the Celtic spread a lot in my practice, and being an Astrologer I use the 12-house Horoscope spread quite a bit as well. So I took the time to write up very complete descriptions of how each spread can be used in practice. These essays can be found behind the Explore button on the front page. In particular, I set up the Horoscope Spread in such a way that you can focus your reading on any one of the 12 Houses (and their traditional realms of life). Using the house that is themed most closely to your question, the related essay demonstrates where to look around the Horoscope circle to find the other cards that either contribute to or interfere with the question. By laying out only 12 cards in this classic circular pattern, you are actually creating 12 smaller, self-standing themed readings that illustrate all the known and unknown factors that combine to create your field of opportunities.